Whenever we see two entertainers of the caliber of the ones you’re about to see, we’re always baffled as to how the universe didn’t implode or the stage didn’t just burst into flames from the sheer amount of awesome occupying the same space at the same time. Tom Jones getting down with Janis Joplin is one occasion, and David Bowie’s 1975 appearance on Cher’s variety show is another; the then 28-year-old rock icon, rocking his Thin White Duke persona, was there to promote “Fame,” his first US #1 single and for nearly half of his 15 minute segment on Cher performed a strange yet awesome medley with Cher herself, dressed in a white jumpsuit and frizzy red wig cut into the shape of a bob. 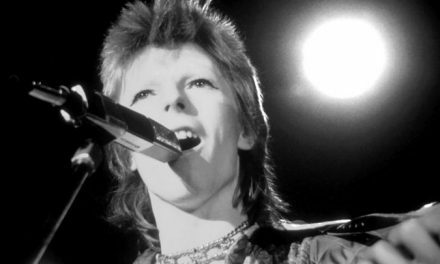 The medley, beginning and ending with Bowie’s own “Young Americans” with snippets covers of famous songs sandwiched in between, showed off David’s wildly impressive vocal range and near superhuman ability to work a room and with Cher at his side, met his match in terms of sharing the stage with an entertainer as electrifying and entertaining as himself. If, like us, you missed it the first time around, check it out in the video below – his sweet dance moves alone are worth a watch!